Southern passengers have been ‘badly let down’ by the Government’s failure to properly structure and enforce rail franchise agreements, according to a damning report from backbench MPs. The Transport Select Committee’s look at improving passenger experience focused on the problems faced by rail operator Govia Thameslink Railway for the past year. These included ‘poor management of the franchise from the beginning’, inadequate staffing levels, rolling stock issues, mismanagement, industrial action, and the Thameslink infrastructure programme. The report suggests that in normal circumstances GTR’s performance would be ‘grounds for termination of the contract’, but GTR has applied for its targets to be relaxed due to ‘events beyond their control’. The committee concluded that the Government’s claim that no other operator could do a better job in the circumstances was ‘no longer credible’. It called for data on GTR’s performance against its contractual objectives to be made publicly available. The rail operator has been mired in a bitter dispute with the RMT union over plans to change the role of guards to on-board supervisors on Southern services, with six strikes held already and four more planned between now and Christmas. The committee’s report said that GTR, the Government, and the RMT are ‘each to some extent culpable in the current damaging industrial dispute’ and the ‘catastrophic’ impact it had caused passengers. Charles Horton, chief executive of GTR, said: “Clearly this a long and complex report, which we’ve only just received today and we now need time to study its detailed contents. “At first reading, our initial view is that the report covers many of the issues and challenges already in the public domain. We recognise and fully accept that our service on parts of the GTR franchise has not been good enough and we sincerely sorry to our passengers for that. 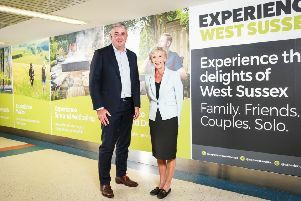 “Clearly, we’ve not got everything right in the past two years, but we’ve committed to making things better and our passengers have already seen 400 new vehicles on our network in the past two years across the GTR franchise, extended smart card technology across our network and delivered nearly 250 of our obligations under our franchise agreement. “While performance is still way below where we want it to be, it’s good that the constraints of the redevelopment of London Bridge have been acknowledged and, also, the fact that performance was beginning to improve before the start of the dispute with the RMT. “GTR has submitted claims for force majeure to the DfT [Department for Transport] caused by the unprecedented industrial action and we have co-operated fully with what’s been asked of us at all times. We have been in discussions with the DfT to agree what and how they wanted to allow them to assess and evaluate our claims. It’s an extremely detailed process which the report accepts is ‘complex and painstaking’. These claims are currently being reviewed by the Department. But Mick Cash, RMT General Secretary, said.“This report is an indictment of the failure of rail privatisation and the government’s record on Southern railways which have resulted in daily chaos and misery for passengers. “The report rightly argues that in any normal circumstances there would be grounds for GTR to have its contract terminated and RMT is calling again for this failed franchise to be taken into public ownership as soon as possible. Meanwhile Lianna Etkind, public transport campaigner at the Campaign for Better Transport, said: “Rail passengers have been let down for too long by overcrowding, poor information, and a lack of accountability; problems which have been brought into stark reality by the Southern Rail fiasco. “The Transport Select Committee’s report is a wake-up call to the Department for Transport to get a grip on the franchising process, for GTR and beyond.